While 50 and his 30K woman continue to trend the Internet, they are not the only beef customers that always gets the social media talking. 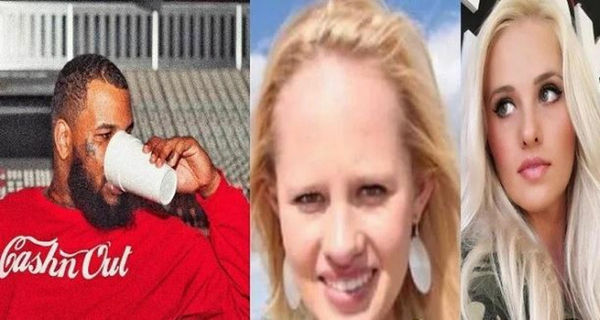 The Game and Tomi Lahren has strick again but was a clap back from Tomi Lahren. Following what she posted online, it was a sign of beef back. We acknowledging that the unflattering photo of her from high school that Game has been circulating was in fact her. "Beauty radiates when you have the confidence to stand up for and love yourself regardless of who tries to pull you down. So yeah Game, you can make fun of me and demean me but end of the day, you’re just a classless rapper who degrades women for attention. I win. Game over," she typed. Perhaps emboldened by the cosign 21 Savage's mom just gave him, Game responded to Tomi's message of self-esteem with another explicit attack on her.
" B*tch shut the f**k up !!! You had 9 plastic surgeries because you hated yourself & after that when stripped of all make up, still look like a peeled orange & that’s what you think young girls should look up to & be motivated by ?? ?," Game typed. Should these two just get a room and get it over with?